Speaker: Marianne G. Briscoe; Ph.D.
Marianne is a specialist in nonprofit management and fundraising with more than 30 years of experience in higher education, arts and culture, and social service institutions. 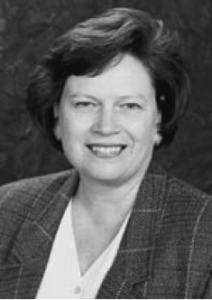 In 1994 Marianne founded Hayes Briscoe Associates, the predecessor firm to The Briscoe Group, which merged to form Brakeley Briscoe Inc. in 2003. She has served as a corporate officer at three major nonprofit institutions and directed the capital campaigns of Saint Mary’s College of California, where she was vice president for advancement; the national Sierra Club Centennial Campaign, which raised $100 million; and the Campaign for the Newberry Library. She also directed the $50 million corporate component of the University of Chicago’s campaign for the Liberal Arts in the 1980s. Her clients include Girl Scouts of the U.S.; National Public Radio; the League of Women Voters of the U.S.; Museum of Biodiversity, Panama; San Diego State University; Dominican University of San Rafael; San Francisco Opera; Helen Keller International; Shakespeare Theatre; a number of family service agencies; Natural History Museum of LA County; the City of Milwaukee Lead Paint Abatement Program; and Save the Redwoods League. Prior to her career in fundraising Marianne taught English literature at the University of Michigan–Flint and at The Catholic University of America. She also served the Charter Revision Commission as public information officer and directed the Charter Referendum Campaign and a mayoral campaign in Flint, Michigan. Marianne served on the national board of the Association of Fundraising Professionals (then NSFRE) as chair of public service, chair of ethics, chair of development and assistant treasurer. She is founder and former board chair of the Washington Square Consortium, a nonprofit community improvement organization in Chicago. For more than 35 years she has been a home hospitality host and professional resource interview for the International Visitors Centers programs serving foreign visitors sponsored by the U.S. State Department. She is past president of the Board of the International Diplomacy Council of San Francisco. The U.S. Information Service has sent her on extended tours in Indonesia and Chile as an organizational development and fundraising consultant for arts organizations. She is also active in programs mentoring women. She belongs to the International Women’s Forum, served on the board of Women’s Forum West, and chaired the board of the Legacy Foundation at Women’s Forum West. Marianne is a noted lecturer, trainer and teacher. She has taught fundraising at the graduate-level at the University of San Francisco and Spertus College of Judaica, Chicago. She has provided training on fundraising through Donors Forum, Northwestern University, the Association of Fundraising Professionals, the United Way of Chicago, the Nonprofit Resource Center of Sacramento, the Nonprofit Development Center of San Jose, and for many individual nonprofits. She holds the Advanced Certified Fundraising Executive credential, a distinction held by few professional fundraisers. She is editor and contributor to the book Ethics and Fundraising published by Jossey-Bass and has served as ethics columnist for Non-Profit Times. She contributed the essay “Capital Campaigns and the New Charitable Investors” to Understanding Donor Dynamics, published by Jossey-Bass.